Lovers Key State Park Engagement Photography - Check List! Lovers Key State Park Engagement Photography Check List! Lovers Key State Park Engagement Photography – Fort Myers Beach Check List! 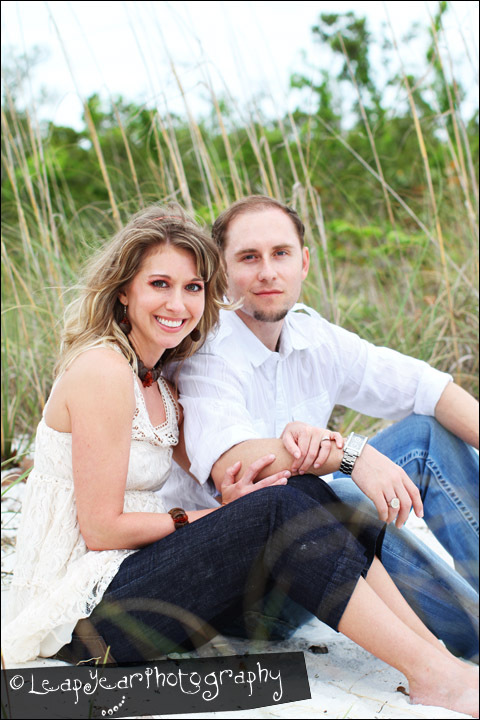 Certainly, before any engagement photography is to take place, you need a great to-be-wed couple like Karen and Zach. The Lovers Key Beach is a fantastic location, but you do need a not-rainy day, so check the forecast. The right time of day! Timing is everything… If you want great beach engagement or wedding photography don’t plan on starting at high noon! Early in the morning or close to sunset are the best times. Plus, it’s just more comfortable – if you’re relaxed it shows in your pictures. Speaking of comfortable, you’ll want a photographer you’re comfortable with, one with who lets you be yourself and lets your love show in your photos. Shameless plug, but, who better than Fort Myers Beach Photographer Erin Wilson of Leap Year Photography for your engagement session? And the most important item on our check list — DEEP WOODS OFF or the like, but it should contain the highest percentage of DEET you are comfortable with. Remember that this is the beach in Florida and, depending on the time of year, it can be buggy, but with a little preparation, you can stack the deck in your favor and have a fun e-session with images that will last a lifetime. We’ll be photographing Karen and Zach’s wedding in 2011! Leap Year Photography does Engagement and Wedding photography in Fort Myers, Sanibel Island and Captiva Island. 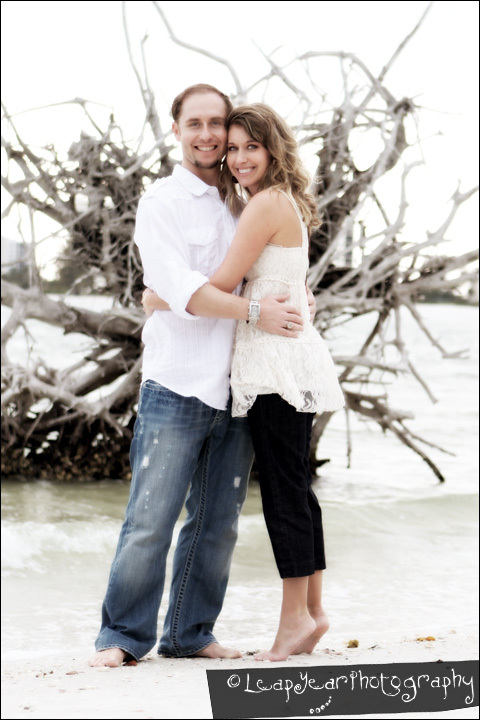 Contact Erin for your e-session on Ft Myers Beach. Whether you live locally in Florida or you are planning a destination wedding, Erin will help make it a wedding to remember. Get in touch with Erin of Leap Year Photography! 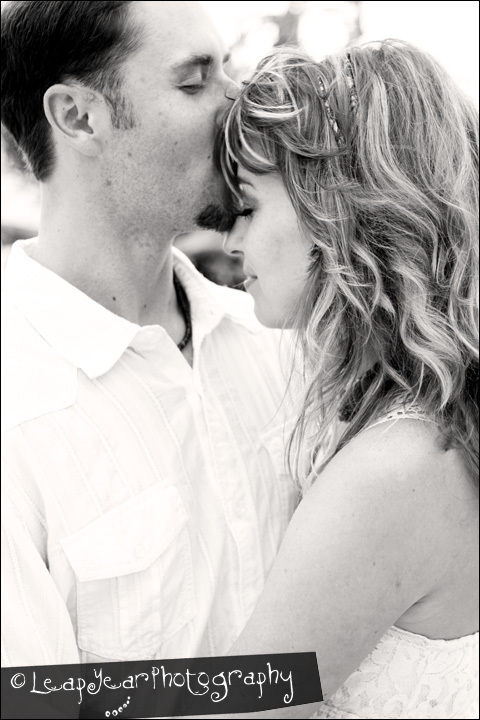 This entry was written by Erin, posted on May 15, 2010 at 11:44 am, filed under Engagement and tagged Engagement, engagement photography, Fort Myers Beach Photographer, fort myers engagement photographer. Bookmark the permalink. Follow any comments here with the RSS feed for this post. Post a comment or leave a trackback: Trackback URL.